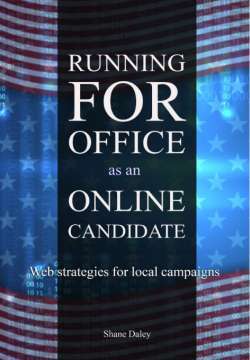 OnlineCandidateLinks.com allows local political candidates and political organizations to create an information profile about themselves and their campaign. Your listing acts as a hub for your campaign’s social networking and search engine reputation efforts. Your candidate profile page may include information about your biography, the campaign issues and the election date. You may add links to your Facebook, Twitter, LinkedIn and YouTube profiles. Even a campaign video and an RSS feed can be embedded into your profile page. Your profile is optimized to appear when Internet users, voters and supporters search for your name. This can give you control of an extra ‘slot’ in the Google search results, helping you control and dominate your online message. Campaigns can create a Free Listing or upgrade to an Enhanced Listing for a complete listing. Online Candidate website clients are eligible for free Enhanced Listings through their campaign website administration dashboard.